"Ice Age" is a song by How To Destroy Angels from their second release, An Omen EP. 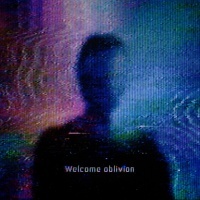 It is also one of four songs from An Omen EP featured on HTDA's first full-length release, Welcome Oblivion. It was covered by Nine Inch Nails with Mariqueen Maandig during the NIN + QOTSA Tour and the NIN 2014 Japan Tour. On two dates at the end of the Cold And Black And Infinite Tour, Mike Garson joined the band to perform the song. This is the album version. It was the second single released for the EP, and features a prominent stringed instrument being plucked throughout. This is a heavier version of the track, remixed by The Soft Moon. It has a darker feel, with many additional elements added by the remixers. It was released on HTDA's SoundCloud on December 12th, 2012. This is a remix by deadmau5, originally released through his personal SoundCloud account, then commercially on his album while(1<2). The music video for the song premiered just after midnight on 28th November 2012, and was the third video released for An Omen EP (the former two both being for "Keep It Together"). The video takes places mainly inside a log cabin built inside a rapidly freezing landscape. It begins as a predominantly performance video, with all four members of the band appearing. As the video progresses, visual distortions, similar to the VHS distortions used in the promotional art for the EP, start to form over the image to give the effect of tape damage, later combined with the effects of CRT monitor distortion. The video progresses to showing "home movie" images, with all people in the footage being blacked out, with the video distortions getting more and more pronounced. The video closes with the room freezing over. Previous track - "Welcome Oblivion" Track 5 from Welcome Oblivion Next track - "On The Wing"
Previous track - "Keep It Together" Track 2 from An Omen EP Next track - "On The Wing"
This page was last modified on 19 April 2019, at 22:08. This page has been accessed 29,973 times.